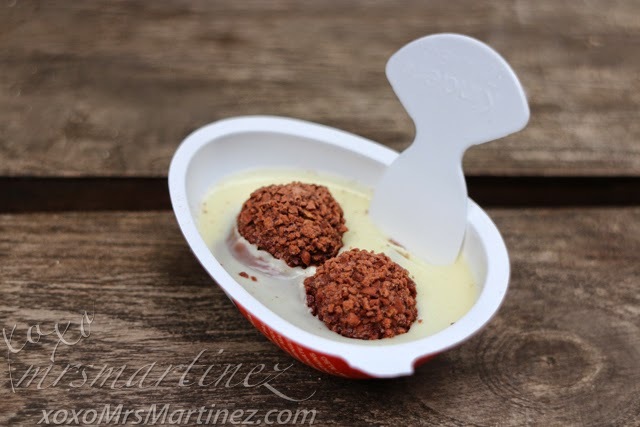 What's Inside Kinder Joy With Surprise? 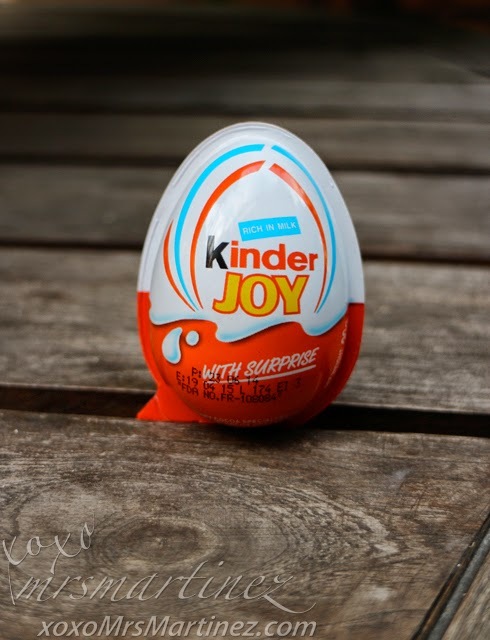 My daughter has been watching Kinder Joy with Surprise videos on YouTube. 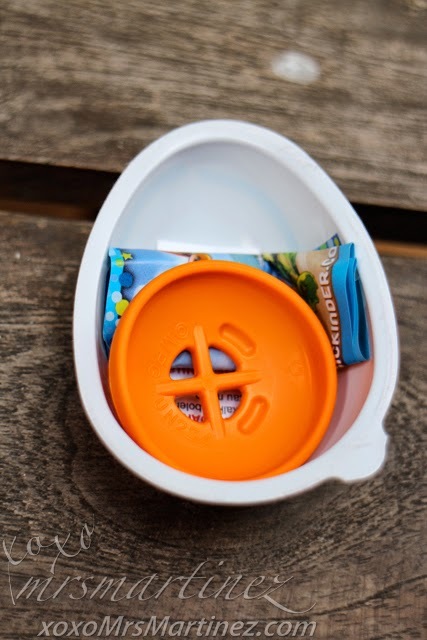 She already knew and memorized the items found inside this tiny little egg that they call- Surprise! 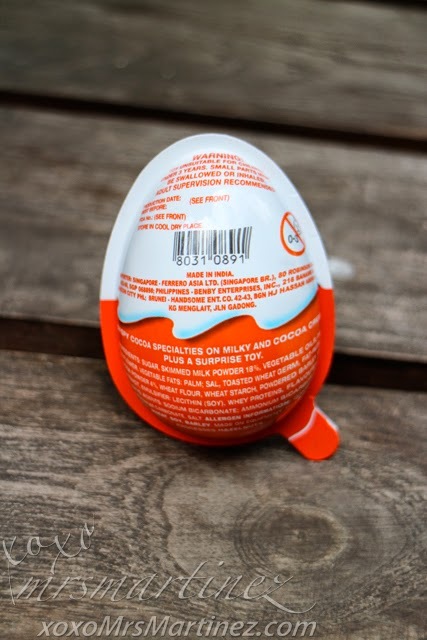 The production date and expiration date are clearly printed on the front side of the egg. 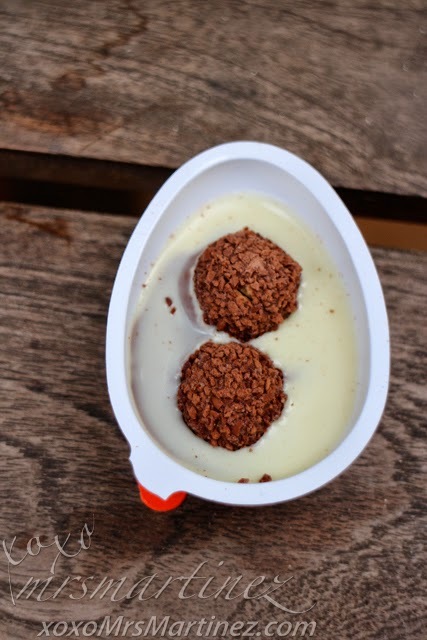 So what's inside a Kinder Joy with Surprise? 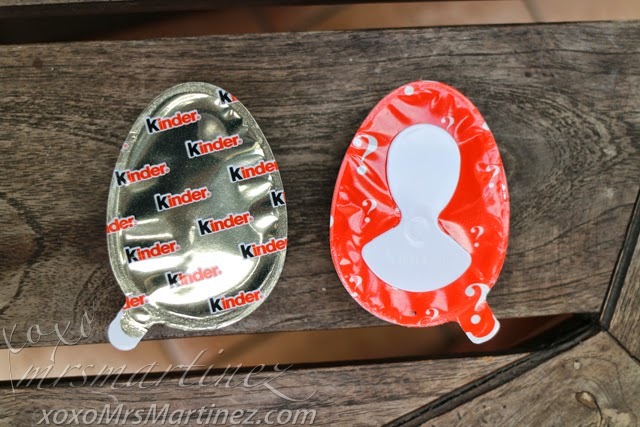 Crispy cocoa specialties on milky and cocoa creams plus a surprise toy! Found inside one half of the egg are two pieces of rich chocolate crispies! 2. 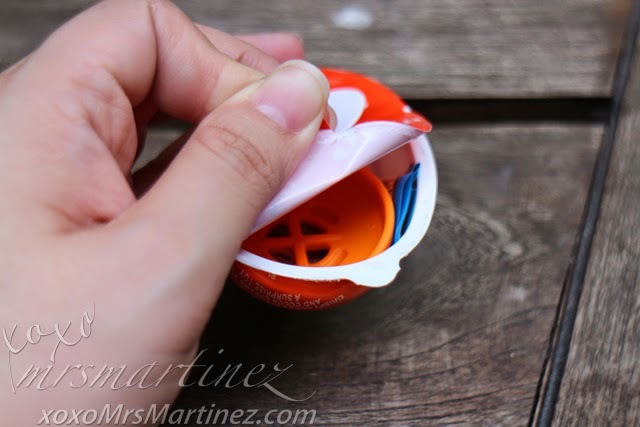 You can use the provided spoon found on the other half of the egg. Packed neatly inside the other half of the egg are the materials needed to build or make the toy. 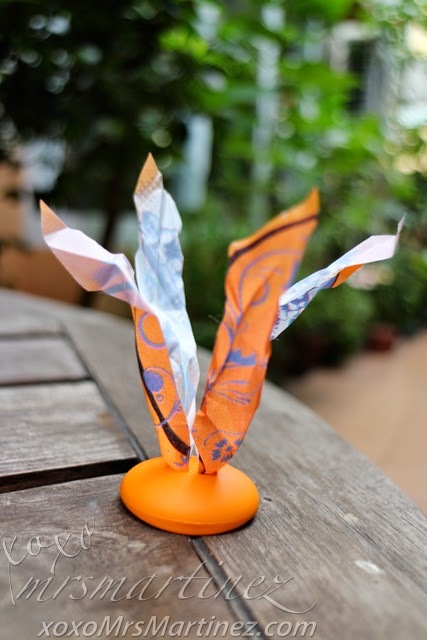 There's a leaflet or manual with drawing instructions on how to make the toy and two warning labels. Oh, my! It states that the toy is not suitable for children under 3 because it contains small parts that might be swallowed or inhaled. Another warning label reads "Launching objects other than those provided could cause injuries. Do not aim at eyes or face." 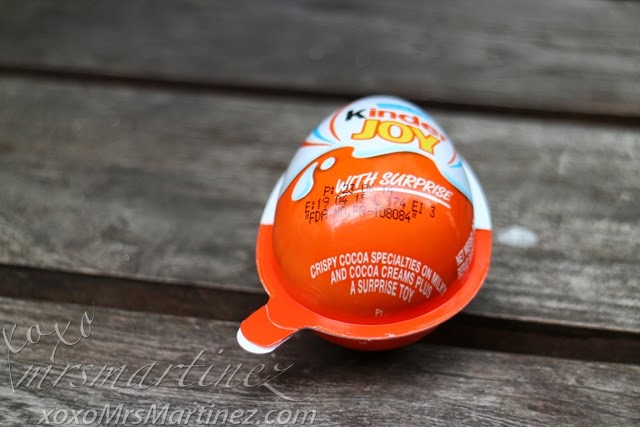 With the description above, can you guess what's the surprise inside Kinder Joy? 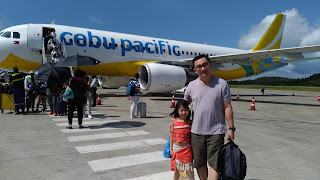 Sipa- a Filipino traditional sports wherein two players attempt to keep an object like a small ball or cluster of rubber bands in the air by kicking as many times without the object falling on the ground. This is actually my daughter's second surprise. She got a bracelet with stickers on the first one (not in the photo). You see, you get a different toy every time that's why it is called a surprise! 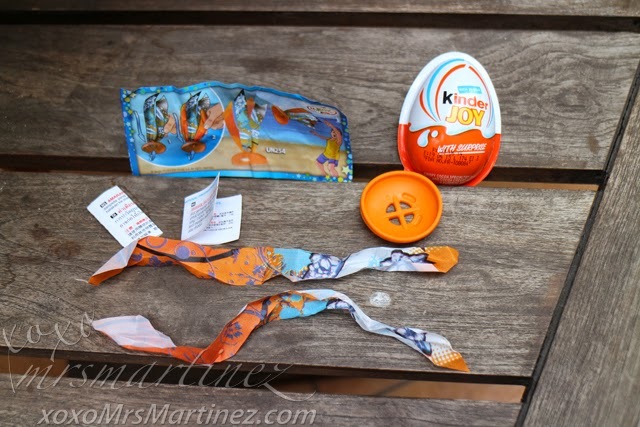 Buying and collecting Kinder Joy is totally fun! I will definitely buy another one or two for me and my daughter!